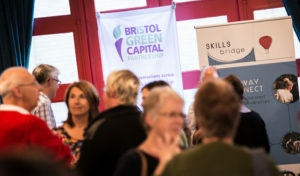 Hosted by Bristol Green Capital Partnership, the monthly Green Mingle offers individuals, organisations and members the opportunity to network in an informal setting with like-minded colleagues, and to make connections and share ideas. It takes place on the first Thursday of every month between 5.30pm – 7.30pm. Nibbles are provided! Everyone is welcome, no need to book, just turn up on the evening. Please see the online listings every month to check the location. Does your organisation have a project that aims to make Bristol a happier and healthier place to be? Could you have a greater impact with the help of some expert support? Then come and talk to Skills Bridge at the Green Mingle! 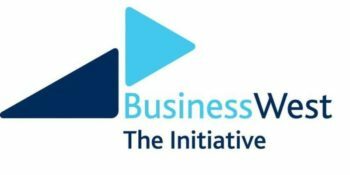 Skills Bridge can help you to make connections with students from both universities in Bristol who could bring a range of skills and new ideas to your organisation through research projects, work placements, internships and volunteering. Skills Bridge is working with the Partnership to help members and others to connect with both universities on sustainability projects which bring together both students and community partners, so come and talk to us at the Mingle – we’ll be by the Skills Bridge banner with a blue sticker on! Bristol Green Capital Partnership hosts three to four gatherings each year. Members will receive an invitation via e-mail at least one month in advance, and you can find details on our online listings. If you or your organisation is not registered as a member, find out more here. With a range of speakers, presentations and roundtable discussions, Bristol Green Capital Quarterly Partnership gatherings offer a chance to hear updates from the Partnership and provide a unique space to meet and share ideas with other members and local organisations. 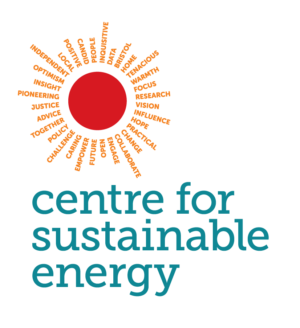 We often work with partners or focus on specific themes and topics – for example, resources, transport, energy, nature and food – offering the opportunity to identify priorities and to share expertise on how we can work collectively to become a sustainable city with a high quality of life for all.